People with a Sun Number 3 are innovative and creative. They think outside the box and find solutions quickly. Bubbling with optimism, a 3 person typically has a childish streak that lets them avoid their responsibilities, especially those that demand effort and attention. 3s tend to be loved by many, but often their own love for others tends to be somewhat superficial. Sun Number 3s like to skate the surface, using their considerable sense of humor to keep things light and sunny. However, when hit by one of life's more serious challenges, a 3 will surprise everyone by displaying a lot more endurance, courage and determination than anyone expected -- including themselves. Hands down, creativity is a 3's biggest asset when it comes to taking advantage of opportunities, or overcoming obstacles. Unfortunately, the effort level doesn't always live up to it. As a result, 3s leave quite a few unfinished projects, unfulfilled dreams, and empty promises behind in their path. Successful Sun Number 3s have learned to focus and be disciplined in how they approach changing circumstances. When a 3 does manage to push something all the way to its goal, that accomplishment tends to be enormously satisfying. In love, the 3 Sun Number may appear somewhat superficial and flaky when it gets involved in a romantic relationship, but that's just hiding a more serious undertone. 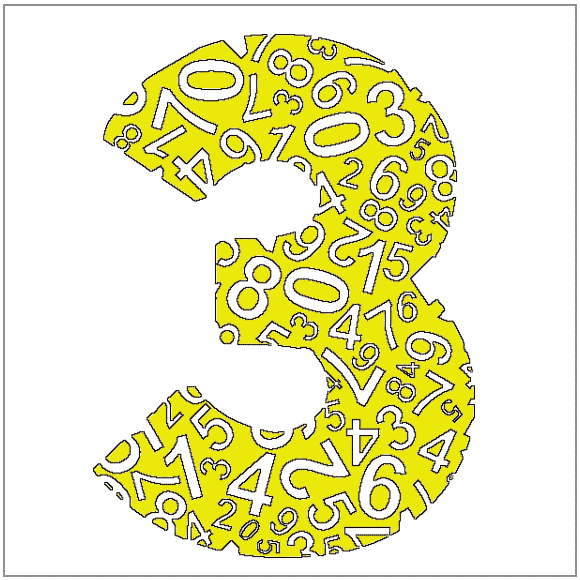 The 3 Sun Number tends to be a happy, upbeat number, but also understands how vulnerable that happiness can be. For that reason, they dread pessimism and negativity, and approach any major change in life -- which a romantic relationship can be -- with caution. Sun Number 3s have no trouble entering into a romantic relationship they know is not meant to last. In fact, the 3 can certainly become a bit promiscuous, but when a 3 senses that it might become more serious, he or she will back off. The way to get a 3 to commit to a long-term relationship is by being patient and absolutely not demanding. The 1, 3, 5, and 7 are the most suitable romantic Sun Numbers to pair up with the skittish 3.